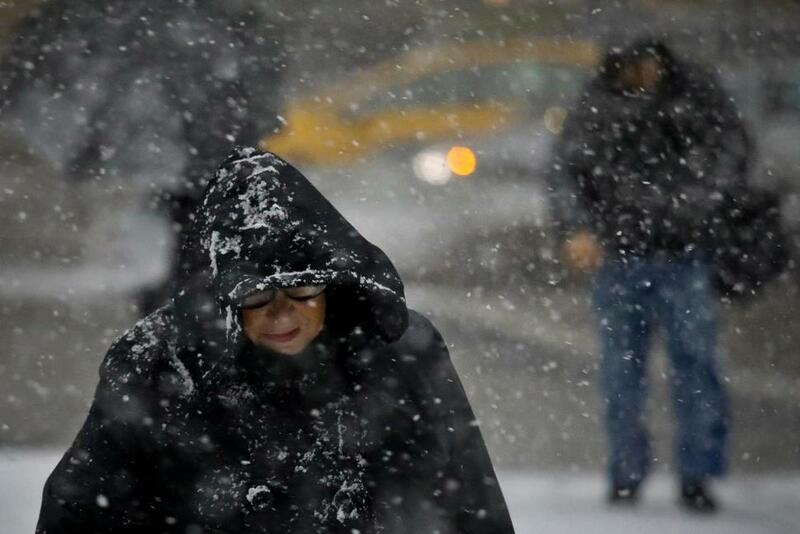 Hard to believe, but a mere six inches of snow paralyzed the capital of the world on Nov. 15. While the wintry mix was unexpected, it was not a very big storm, not by New York standards anyway. But like a good, yet cruel joke, the storm had perfect timing, arriving just as the afternoon commute was getting underway. A pile-up on the George Washington Bridge shut down one of the busiest bridges in the world, just as the busiest bus station in the world, the Port Authority Bus Terminal in Manhattan, was canceling trips. People abandoned their cars, others slept in their offices, and many more saw their two-hour commutes extended to eight or 10 hours or more. But there were some scary moments. One school bus, according to The New York Post, left its school in Manhattan at 2 p.m. and didn’t get all its passengers home until a little after midnight. Along the way, the kids asked to stop for food and to go to the bathroom but, reported The Post, “the bus matron and driver refused to halt.” When some desperate students said that they might need to relieve themselves on the bus, the bus matron told them that it was against the rules and that she would lose her job if they urinated on the bus. The Post didn’t say just what happened next, but everybody did make it home safely...eventually. I’m sure this bus matron is a kind and hardworking person. She was in a crisis and was doing the best she could in very trying circumstances. I think it is also safe to say that if we were in the bus matron’s shoes, most of us would have stopped the bus in order to allow the children to grab some fast food or, at a minimum, perform natural acts. She, however, chose otherwise, citing the regulations. In a secular, moralistic political culture, law displaces our conscience as the decision maker. Or perhaps not. I don’t know what would have happened in this specific case, but I know enough about contemporary American life to concede that she might have been fired, even if any other reasonable person would have stopped too. One of the consequences of living in a secular world, one closed off from the transcendent, is that our politics becomes more moralistic. In a secular, moralistic political culture, law displaces our conscience as the decision maker. “By exiling human judgment in the last few decades, modern law changed roles, from useful tool to brainless tyrant,” Philip K. Howard writes in The Death of Common Sense: How Law Is Suffocating America. “This legal regime will never be up to the job,” Howard says, “any more than the Soviet system of central planning was, because it can’t think.” Yet thinking and deliberating in conscience is what makes a human being a moral actor. In other words, if the bus matron is not a morally autonomous agent, acting in conscience, then why is she on the bus in the first place? Why not just program the rules into a robot and have it tell the kids that they have to hold it in no matter what? We are either human beings, created in the image and likeness of God and endowed with moral agency and free will, or we are merely machines. It should be obvious that this way of thinking reduces a someone to a something. We are either human beings, created in the image and likeness of God and endowed with moral agency and free will, or we are merely machines, programmed through laws and regulations, mere code written by the programmers. This story reminds me of the time I was detained in the subway, a mile in between two nearby stops, but going nowhere on account of an electrical substation failure. It was at the end of a long work day and my usual 50 minute commute lasted an extra 2 hours. Needless to say, I would have very much appreciated the bathroom break which was denied to me and hundreds of others, not because the public safely officials were just following the rules, but because stepping on the third rail in the dark subway would have been life ending. Was I upset? Yes. Did I worry that I might not be able to hold it for an extra 2 hours. Yes! But, did I die? No. And I don't think anyone else died either. If one kid gets off the bus, then all the kids want to get off, yet how can one driver supervise 30-40 kids running around in the snow in a storm? If she got them home safe she deserves our admiration for a difficult job well done, not criticism. I work for a social service agency which trains all of our employees on "resident rights" because our government funders mandate it. We serve children and adults who are at risk and vulnerable to abuse and exploitation, so this is a very important to the health and welfare of the people we serve. I do not know if this bus driver violated any of the students personal rights in her denial of a bathroom break in an emergency situation, but neither would I be surprised to hear that she will be challenged legally. While it is sometimes difficult to determine how to respect rights and also keep people safe, the fact that the government is trying to keep people safe is not something to be shunned. Would it be ideal if everyone has a well formed conscience and the authority to do whatever they think is best according to their own self rule. Maybe. But let's be realistic, some people have good judgement and some do not. Should children be riding buses driven by people who can do whatever they think is best? And what happens when a bus driver has a bad day with no rules to guide behavior, or when one bus driver simply lacks good judgement in a stressful situation? "In a secular, moralistic political culture, law displaces our conscience as the decision maker." We could probably level the same criticism toward the rigidity of some church teachings which give lip service to conscience, but allow little to no room for individual decision making. If people have difficulty making good moral decisions in complicated situations, I don't know why we are blaming the "secular culture." The Magisterium has done far more to limit creativity and personal agency. This entire article sounds more like projection than anything else. Amen. The problem with the church is "the distinctive authority structure of the Roman church," as Jack Miles described it recently in Commonweal. The Magisterium and its laws and legalism do cast a shadow over the light and love Jesus taught and modeled. There are other Christian churches and other Catholic churches, without the Roman aspect and with married pastors and priests. And those leaving the church aren't all going atheistic or agnostic; many are going to these non-Roman Christian and Catholic churches. Father Martin’s points are well-made and well-taken, at least by this representative of some victims of what he describes. In my years as a union representative in the teaching profession I saw numerous examples of that fact as a device by “the rule makers” to dispose of individuals whom they did not like or find agreeable. The very humanity that makes for contentiousness and contrariness in the most human of endeavors, the interactions between and among educators, students and parents, was totally ignored for the sake of a false comity in workplaces that “the rule makers” wanted to run like assembly lines. Some of the comments here about how Church rules are used similarly does give pause. In the abstract, the intractable rule-following of the bus matron on the one hand, and the unadaptive transportation system design on the other, as described in the article, do seem to be examples of the same phenomenon. The phenomenon presumably illustrated is a reluctance to depend on human agency to do the most effective thing under conditions of uncertainty. But one can speculate about the motivation for that reluctance. It might not be a consequence of a dominant secularist ideology. It might simply be the urge to enlist procedural orderliness in support of effective public safety and convenience. The inconveniences that resulted from the possibly totally innocent and well meaning bus procedure, and the traffic flow design that resulted in the big jam-up, could be consequences of the universal human limitation, the complete inability to forecast with certainty all relevant future eventualities. While it is true that standard operating procedures, protocols, check lists and algorithms are sometimes used as a crutch, excuse, or even alibi, these human frailties cannot always be traced to secularist ideologies. I had to read that sentence a couple of times. "Secular" means without a religious basis. "Moralistic" means overly judgy, and "political" simply pertains to government. What we're really talking about here is not "judgment" but rule rigidity or fear of the same. In all government settings, street level bureaucrats - police, teachers, in this case a bus driver - have to decide almost daily how to interpret the law as situations present. Will I give this one a ticket, or let her off. Will I suspend this child from school or give him another chance? Will I grant a variance to this zoning ordinance or will I not? Will I accept this probationer's explanation of a need for a slight variation from the rules, or will I enforce strictly? Because life is messy and it's the rare ordinance that anticipates all possible scenarios in which it must be applied, most of us hope these street-level representatives of our government authorities will combine common sense, kindness and compassion - none of which require a belief in God to exercise - to make these interpretations as best they can within the intent or spirit of the law. A particular country, state, county or city law enforcement agency may be more rigid or less rigid. A particular street level bureaucrat may be more or less afraid of her boss, or her boss's boss, feel more trusted or less trusted to deviate when common sense might call for it. She may even be aggravatingly human, in the sense that she may be more or less able to think outside the box even though a situation seems to call for it. There are so many factors at play in a situation like this, but I do not think you can pin the tail on secular moralistic political culture. Thoughtful piece, but perhaps overthinking. Excellent article. The rule of law ha it’s place, certainly, but it cannot replace conscience, I have long believed that the battle against abortion was lost when it became a legal issue and was taken out of the realm of conscience and morality. This article also appeared in print, under the headline "Planes, Trains and Automobiles," in the December 10, 2018 issue.